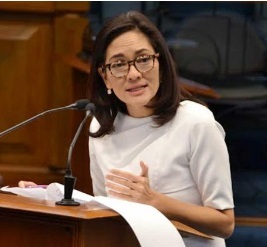 Hontiveros said the government should be open to holistic and different approaches in fighting illegal drug use in the country, including cutting the demand by focusing on the rehabilitation of users. “Harm reduction strategy lessens the demand for illegal drugs. If there is a strong demand, supply will always find a way,” Hontiveros, chair of the Senate committee on health, said in a speech before the Alliance of Philippine Medical Colleges-Student Network Visayas Convention at the Cebu Doctors’ University in Cebu City. “In a public health framework, we can win the war on drugs by reducing its demand, ensuring that those who need help will get the help that they need, and at the same time educating our population on the dire costs of addiction,” she added. For the campaign against illegal drugs to succeed, Hontiveros cited the need to study different models that worked and failed. “The problem of illegal drugs is a multi-faceted issue. Thus, the need to address it through a broad lens, particularly through a public health framework,” she added. Faced with criticisms due to the bloody war, the Duterte administration has been saying the extrajudicial killings happening amid the war against illegal drugs is not government-sanctioned and that it is possible that those involved in the trade are committing the summary executions themselves.